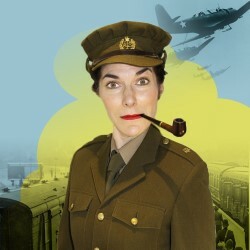 Paul Levy talks to Kate Cook about Invisible Woman, a solo comedy show “in which Kate Cook plays an array of crackpot characters in this thrilling tale of derring-do in WWII.” Paul Levy hears how the show came into being and how Kate created the piece and brings it to life on the Fringe stage. 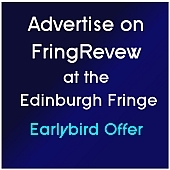 This entry was posted on Thursday, August 6th, 2015 at 10:08 pm and is filed under Audio Interviews, Edinburgh Fringe 2015. You can follow any responses to this entry through the RSS 2.0 feed. Both comments and pings are currently closed.